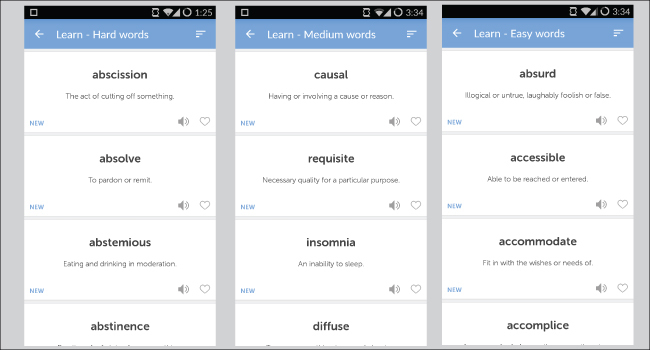 Our special offering, Vocabulary Flashcards-2015 App, is available for free download on Google Playstore, the app harnesses the power of memory tricks to help you learn words. Download now and start learning on the go. 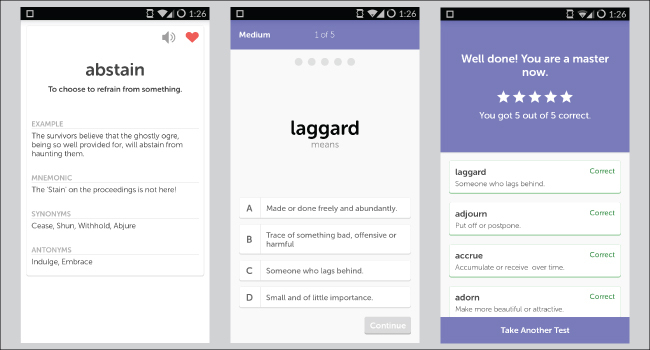 The app uses the concept of flashcards and provides you a handy-tool for vocabulary development. 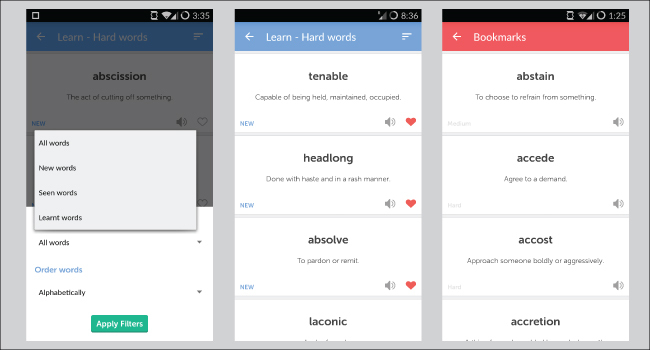 Whenever you have some spare time, take out your smart-phone and learn words on the go! Finally, that moment is here. We have received countless requests, reminders, e-mails and messages over the last couple of years asking us for our App. Well, we always replied that it is coming soon. Now, at long last, that ‘soon’ has finally disappeared from our response and we can proudly say that our application is here. We have just launched our Android App and click on the following Google Play Store link to download and install the app. 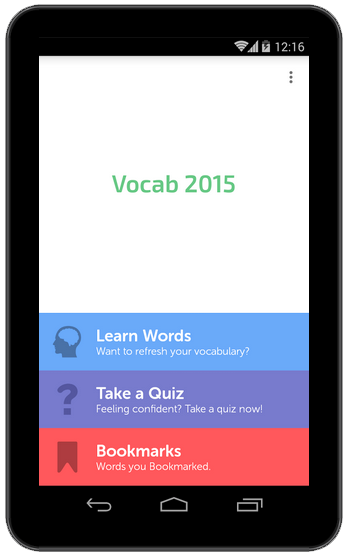 Vocabulary Flashcards-2015 What does the App do? The name says it all, right? The application is all about vocabulary and learning words the easy way. 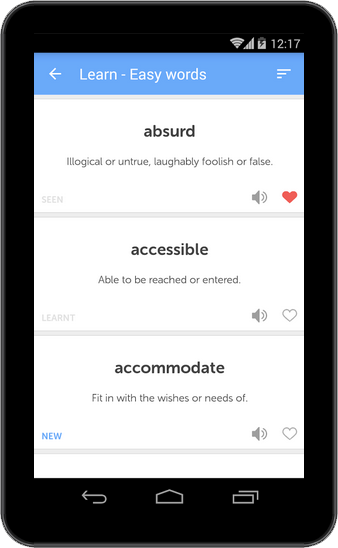 Developed with an easy to the eye interface, the app allows you to seamlessly navigate between words of different levels. For every word, you are provided: the meaning, mnemonic (memory trick),synonyms and antonyms. Coupled with this awesome data for individual words, you also have the option of taking as many tests as you want. This is the perfect way to revise words. And we are not done here. The app also offers you the ability to sort words (alphabetically, randomly and so on) and bookmark and save words for later revision. We have designed this app keeping in mind the learning needs of students. Hope you have a pleasant experience using it. You can always write back to us on: admin@wordpandit.com. 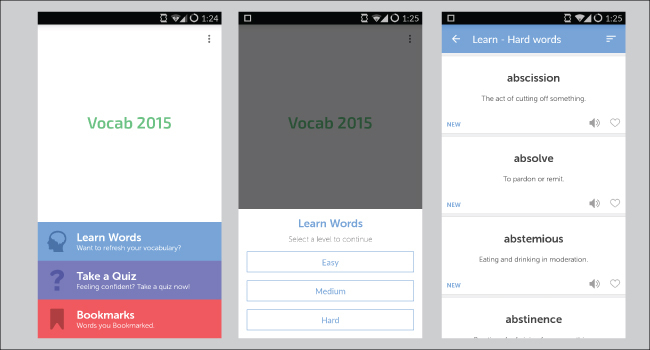 Head over to Google Playstore, download the app and start learning words on the go.